The time for renewal in our metros, based on a caring local government, has come! Since the dawn of democracy in 1994, when the ANC first received over 60% of the national votes, South Africa has been described as a ‘one-party dominance’ system. This was despite the fact that in those very elections, the interim constitution enforced coalition governments, with any party that gained more than 5% of the voter having to be included in government. Thus, the first government formed by Nelson Mandela, was one of national unity, with the ANC governing together with the National Party and the Inkatha Freedom Party. The Western Cape and KZN also have rich experience of coalition governments, and at local government level, this has been even more widespread. It is therefore not surprising that in the lead-up to the 54th National Conference in Nasrec in 2017, the ANC recognised that it must strategise for governance, as well as for coalitions and opposition. Not because it envisaged losing elections even before the campaign begun, which we don’t (our campaign aim is still to win a majority), but because this is part of the reality of multi-party democracy as set out in our constitutional framework of the country. The 2016 local government elections delivered a number of municipalities, including the Nelson Mandela, Ekurhuleni, Johannesburg and Tshwane metros, where no party secured an outright majority. 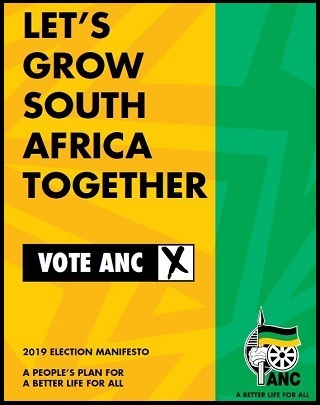 The ANC emerged as the largest party in both Ekurhuleni and Johannesburg. While we prefer to win elections with a clear majority, it is, however, in the nature of democracy that election outcomes may not always produce an outright winner. These metros are governed by coalition governments with either the ANC (in the case of Ekurhuleni) or the DA (in the case of the other metros), leading the coalitions. Following the 2016 local government elections, the ANC made a commitment that hard work, responsiveness and accountability will be the criteria against which we judge ANC councillors. These values speak to the principles that guide our approach to governance at local level. 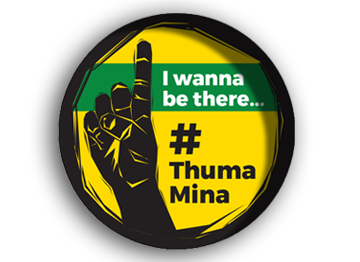 The ANC’s approach to coalitions is based on a long-term perspective informed by our commitment to transform South Africa into a united, non-racial, non-sexist, democratic and prosperous society. 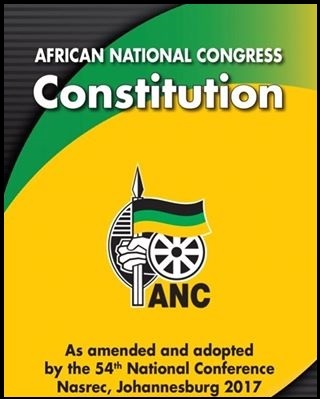 In this regard, it is our firm conviction that local government in the cities, towns and rural areas should be guided by the constitutional mandate to provide basic services to communities, stimulate local economic growth and development and, generally, contribute to the improvement of the lives of citizens, especially the poor. This commitment is grounded on the principles of non-racialism, good governance, ethical conduct and effective leadership. There is no doubt that the DA-led coalitions in Nelson Mandela Bay, Johannesburg and Tshwane, were and are, devoid of principle; and they were bound to collapse: opportunism and patronage were the shifting sands on which they were constructed. An irrational and pathological hatred of the ANC could not be sustained forever. As the perverse incentives that fuelled this phenomenon crumble, so does the fragile alliance in the different metros. Some of the parties that supported these coalitions – formally or informally – are starting to realise the error of their ways, and they dread the punishment that the electorate will deliver in future elections. The crumbling of the house of cards is irreversible. In pursuit of the immediate stabilisation of both the Nelson Mandela Bay and Tshwane metros where these alliances have collapsed, the ANC has decided to work with parties that share its immediate aims and that are committed to placing these municipalities on a path of recovery, to resolve the immediate challenges. As we do this, we shall exercise maximum vigilance to ensure that the ANC is not beholden to any perverse political and material interests. We have chosen this course of action cognisant of the principle that, ultimately, it is the citizens of these metros that should break the political deadlock that has brought instability and unbridled patronage. We shall therefore continue our consultations with relevant regional and provincial structures of the movement and broader civil society, as well as provincial and national spheres of government, on how the voice of the people can be placed at the centre of the resolution of the current crisis in these metros. As it addresses these issues, the ANC will intensify its work among communities to ensure that the service delivery and development challenges affecting especially poor households are addressed. The desperate antics of the DA, especially over the past few days, are a reflection of the realisation on its part that opportunism does come back to bite those who dabble in unprincipled conduct. Critically, the DA is trying all manner of trapeze artistry to conceal the evident truth that its pretence of ethical conduct and clean governance now lies in ruins. In the same vein, the appointment, in total disregard to procedures, of a significant number of unqualified DA party members into serious positions of responsibility in the City of Tshwane, has also burst asunder the illusion that the DA is a party associated with competence and rule of law. The time for renewal in our metros, based on caring local government, has come! Fikile Mbalula heads the ANC 2019 Elections campaign.